Arashiyama is famous for its Sagano Romantic Train ride, whether during spring for its cherry blossoms or autumn for the brilliant colors of its maple leaves. 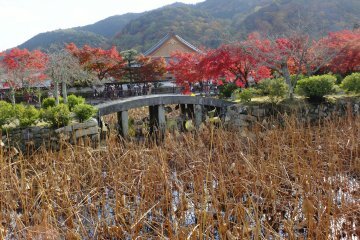 It is also renowned for its landmark bridge, Togetsukyo which is used in many tourist promotion photos. 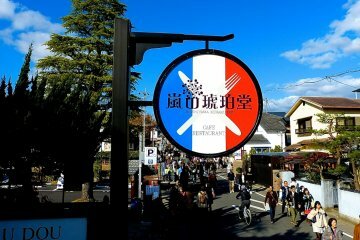 However, there is another place that stands out and is equally as charming. 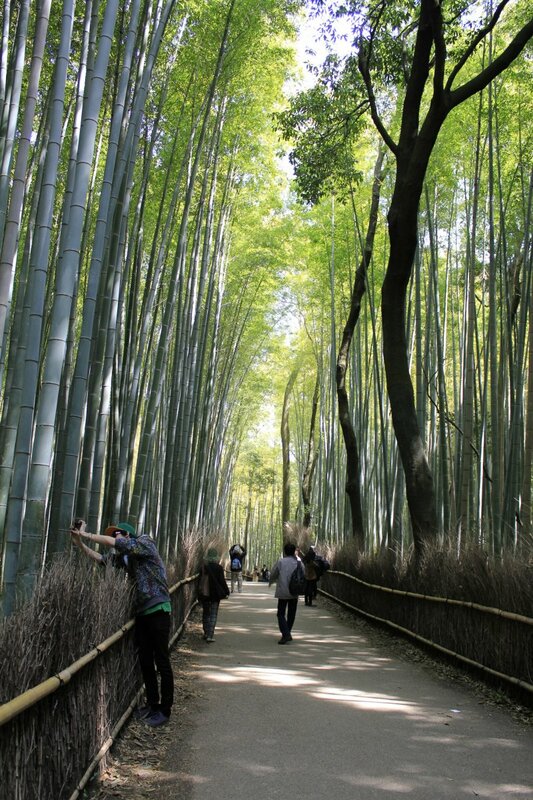 This place is the bamboo forest paths which are over 500 meters long, set between Tenryuji temple and Nonomiya Shrine. 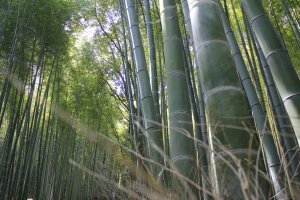 The Japanese have a long history with bamboo, in myths and legends, metaphorically linking a man's strength with this plant. 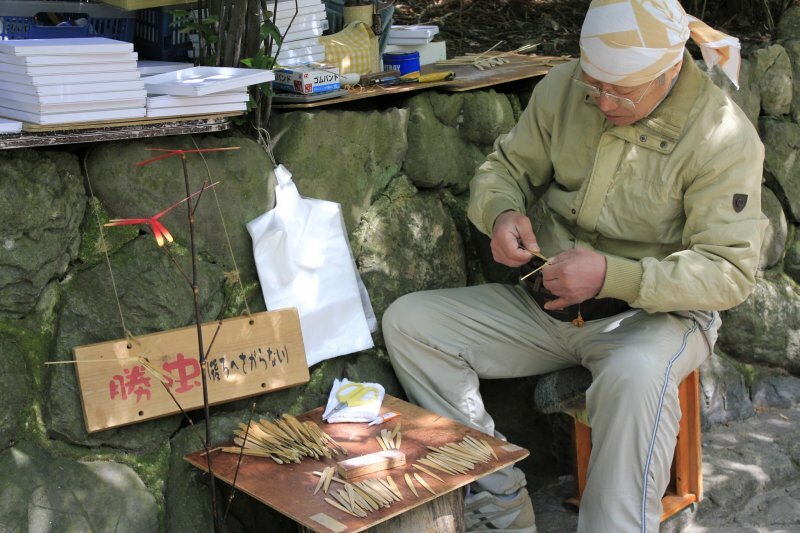 Many festivals also include the use of bamboo in various forms. 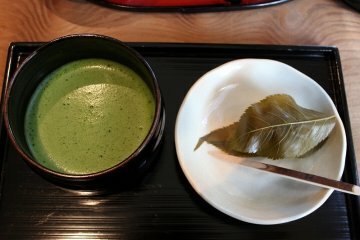 We can see that from bamboo ice cream cups, buildings and fences. However it is not often we get the chance to see bamboo forests in their natural state that grow thick and line the path like they do here. 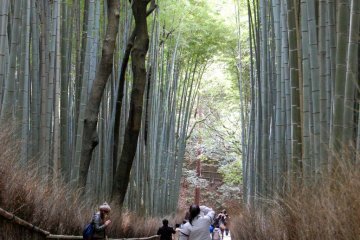 The most beautiful spot is not at the beginning of the path, but further away past Tenryuji temple entrance, where bamboo groves grow further apart from each other, allowing it to become thick and beautiful. 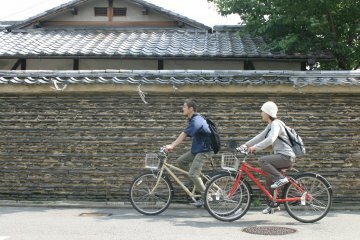 You can rent a bike or stroll the path to enjoy the beautiful sight of sunlight shining through the bamboo grove, casting soft shadows on the path. 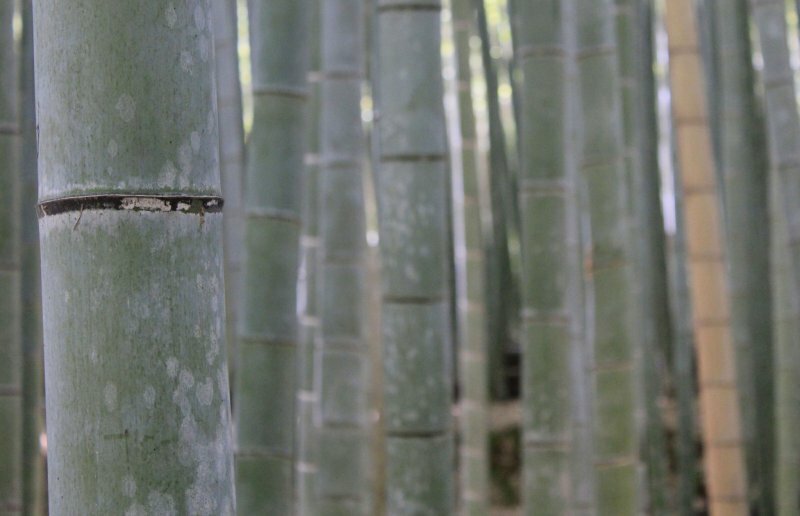 Especially when the wind blows through, you can see moving images exuding a tranquil feel. 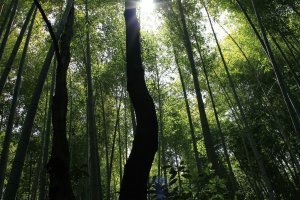 That is the true charm of these forests of the east. 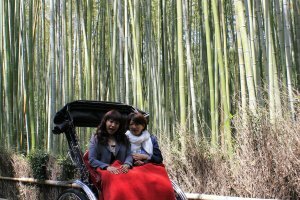 You can also take a rickshaw ride from the young Japanese men and go through the bamboo forest path and around Arashiyama if you want. 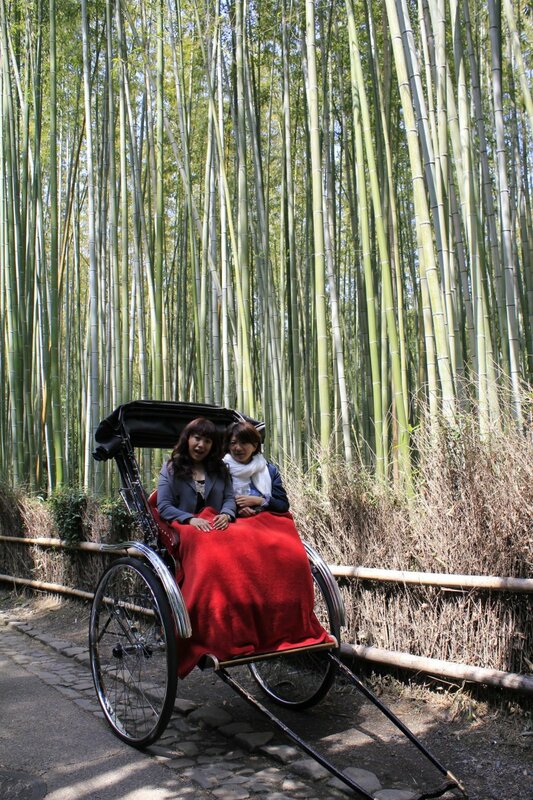 The price will be around 5000-7000 yen depend on where you want to go. 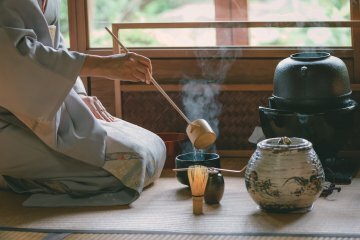 To get to Arashiyama, take the JR train to Saga-Arashiyama station or take the Hankyu Railway to Arashiyama Hankyu Station. There will be signs showing the way to the bamboo forest. 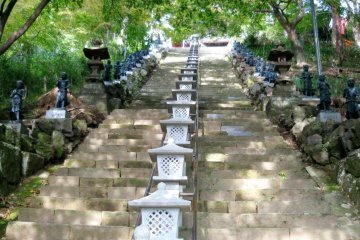 In case you don’t see one you can follow the signs for Tenryuji temple and Nonomiya Shrine. 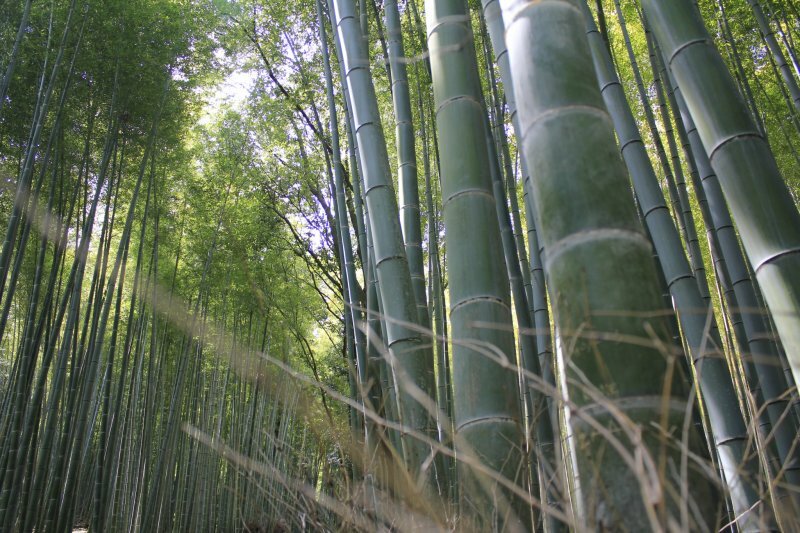 That will also get you to the bamboo forest. 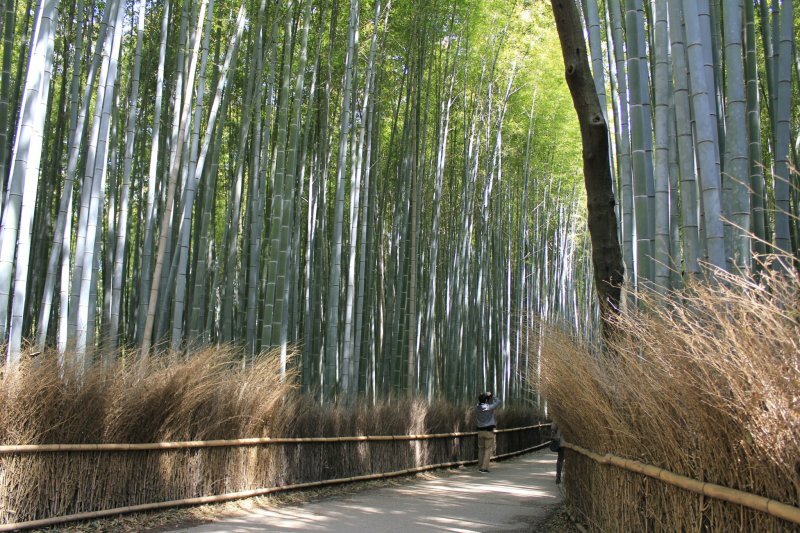 Strolling though the bamboo forest will cost you nothing. 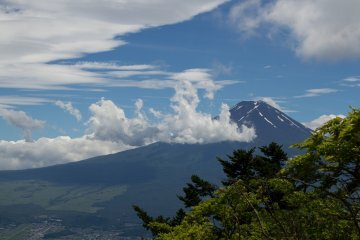 You just have to prepare yourself and your camera to take this wonderful path. 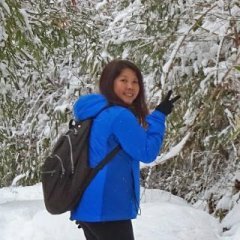 I live i Vietnam, and bamboo tree is a significant symbol in both Vietnamese culture and daily life. 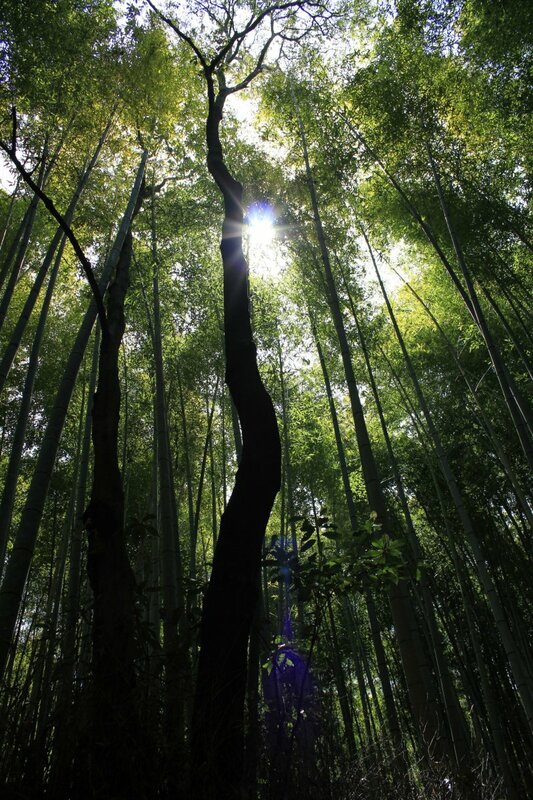 Hope one day i can visit Bamboo Forest in Japan! 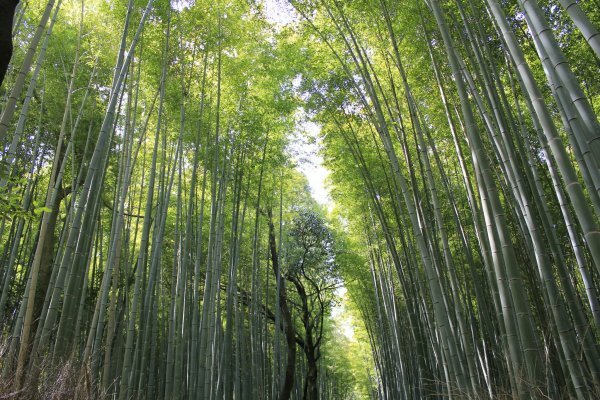 I also heard about another Bamboo forest in Kanagawa Prefecture, I thought this was it, coz from the description, it sounds quite the same.